Chen Pi (Citrus Reticulata) other names : Bitter Orange Peel , Chen Pi. The fresh peel of the Mandarin orange is called chen pi and it comes in big sections. This red hued orange peel is thin-skinned, supple, oily and scented. Initially, chen pi has a somewhat sweet and spicy flavor, but tastes bitter as well as pungent afterwards. 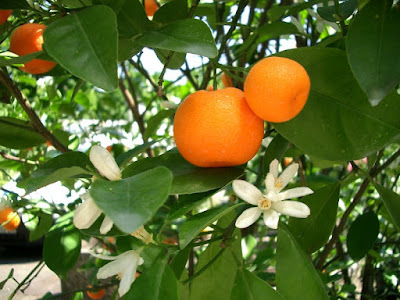 All parts of this Mandarin orange enclose remedial properties and are, therefore, used to prepare herbal medications. This Mandarin orange is either consumed raw or cooked in cakes, confectionery, puddings and other similar items. This fruit is approximately 8 cm in diameter and has a sweet and delectable flavor. The dehydrated peel of this fruit tastes sweet and spicy and is usually used as an essence while baking cakes. Chen pi may be grown in woodland garden having sufficient sunlight. Although the herb bears leaves all the year around, it is susceptible to frost. Blooms of chen pi are hermaphrodite, meaning they have male as well as female organs, and are usually pollinated by apomictic - reproduce by means of seeds produced without sexual union, insects. In other words, the chen pi is fertile by itself. The chen pi has a preference for medium or loamy and heavy or clay soils and needs a properly drained soil. Although chen pi thrives best in neutral and alkaline soils, chen pi can also grow in quite acidic and alkaline soils equally well. Chen pi requires a humid soil and, as mentioned earlier, requires adequate sunlight to flourish. Chen pi cannot grow in shade. Precisely speaking the plant grows best in reasonably heavy loam with sufficient amount of fertilizer and sand. However, the location needs to be sunny enough. Compared to the sweet or bitter orange plants, this Mandarin orange plant is more resilient to cold and has the aptitude to rapidly turn dormant at low temperatures. Chen pi thrives best in conditions where the climatic temperature does not drop below 7° C.
Chen pi is used to alleviate allergies and digestive disorders. Chen pi also encloses a chemical that helps to enhance the output of the heart. In addition, some other compounds contained by chen-pi also operate in a combined manner to serve as a contraceptive for women. Sometimes, the herb is also used to treat severe cases of non-purulent mastitis. Allergies: In the traditional Chinese medicine (TCM), chen pi is widely used to avert as well as cure allergic reactions. 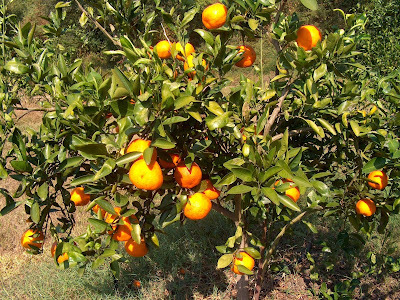 Apart from the citrus peel, the complete Mandarin orange may be used to treat such conditions. Diarrhea, nausea, peptic ulcers and indigestion: Teas prepared with this bitter Mandarin orange peel helps to calm down the soft muscles of the body. This property of the herb has its influence on our digestive system too. Drinking the teas prepared with the bitter orange peel also calms down the soft muscles in the digestive tract and helps them to contain the food in the right place. Many herbal medicine practitioners utilize the perfumed peel of the Mandarin orange (tangerine) to desiccate the mucous in the lungs and stomach. In addition, this herb also aids in controlling as well as reinforcing digestion. Chen-pi also forms ingredients in numerous traditional Chinese medicine (TCM) preparations that are prescribed to cure conditions such as diarrhea, dyspepsia, nausea and cough, particularly when it is comes with abundance of sticky mucus or pus mixed with saliva (sputum). Pharmacological researches in China have demonstrated that the herb enhances the secretion of gastric enzymes and also calms down the soft muscles in the gastrointestinal tract. At the same time, chen-pi invigorates discharge as well as extradition of cough from the lungs through spitting. According to the traditional Chinese medicine physicians, the herb moves the qi or chi (the circulating life energy that in Chinese philosophy is thought to be inherent in all things) down to help in the treatment of hiccups and vomiting. Unripe peel of the Mandarin orange possesses properties that are akin to the peel of the ripened fruits, but demonstrates a more potent unclogging action and is very frequently prescribed to cure digestive as well as mucous problems associated with constipation. 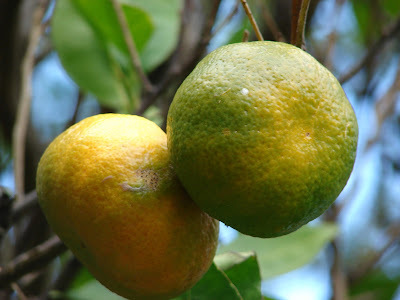 The Mandarin orange includes features like aphrodisiac (arousing sexual desire), antiemetic (suppressing vomiting and nausea), acerbic, laxative and tonic (stimulant). Even the blooms of the herb serve as a tonic, while the pericarp is analgesic (painkiller), anti-asthmatic, antiseptic, antiscorbutic (effective against scurvy), anti-cholesterolemic, anti-inflammatory, anti-tussive, carminative (relieving flatulence), stomachic and expectorant. The endocarp is carminative as well as expectorant and is used in treating dyspepsia, gastro-intestinal distension, and cough with copious phlegm. The immature green exocarp is also carminative and stomachic and is widely used to treat chest pain and hypochondrium (either of two regions of the abdomen), gastro-intestinal distension, inflammation of the liver and spleen as well as cirrhosis of the liver. On the other hand, the seed of the fruit serves as an analgesic as well as carminative and is prescribed for treating lumbago (pain in the lower region of the back), hernia, mastitis and pain or inflammation of the testicles. At the same time, chen-pi encourages the blood circulation in the spleen and a stomach qi (chi), strengthening the spleen. The herb also reduces the seditious stomach qi (chi) and stops vomiting. The peel of this Mandarin orange can also be used in combination with herbs that are difficult to digest with a view to avoid stagnation. An essential oil extracted from the peel of this Mandarin orange is utilized for adding essence to food. This essential oil is also used in preparing medicines as well as by the perfume industry. Usually, the peel encloses 0.5 per cent of the essential oil. Another essential oil is extracted from the leaves and tender twigs of the herb and it is known as the ‘petitgrain oil'. The yield of this essential oil is also around 0.5 per cent. Although chen pi and medications prepared from this herb, especially in the form of a tea or tincture, are very effective in healing numerous conditions, the traditional Chinese medicine (TCM) advises users to exercise extra care while using this herb in case of any ‘red' symptom, for instance, redness in the face accompanied by fever and cough and sometimes blood spitting. This is also applicable when a user has a red tongue. According to the traditional Chinese medicine, the herb should be used with care in the instance of hot phlegm; blood coughs and/ or dry excess heat. The Chinese herbal medical practitioners believe that it is not advisable to use Chen-pi when an individual suffers from dry cough arising from deficiency of Yin (energy). In addition, pregnant women or women enduring irregular menstrual cycles should use chen-pi prudently. Even when the herbal medication or this Mandarin orange peel is taken in little measures it slows down the narrowing of the uterus and intestines. However, when taken in large measures, this bitter tasting orange peel invigorates contractions of the uterus as well as the intestines.